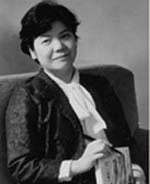 Hokkaido-based novelist Miura Ayako (1922-1999) took Japanese society by storm with her debut novel Hyoten (Freezing Point) in 1964, when it won the prestigious Ten Million Yen Award from the Asahi Newspaper and set off a Hyoten boom all over Japan. With this dramatic entrance into the literary world, Miura began to publish numerous works of fiction and non-fiction. Many became bestsellers and many were remade as feature-length films and television dramas. The aim of this blog is to introduce this amazing writer and her works to English-language readers. Please go to the World of Miura Ayako homepage to see a detailed profile, as well as summaries and sample translations of her works.